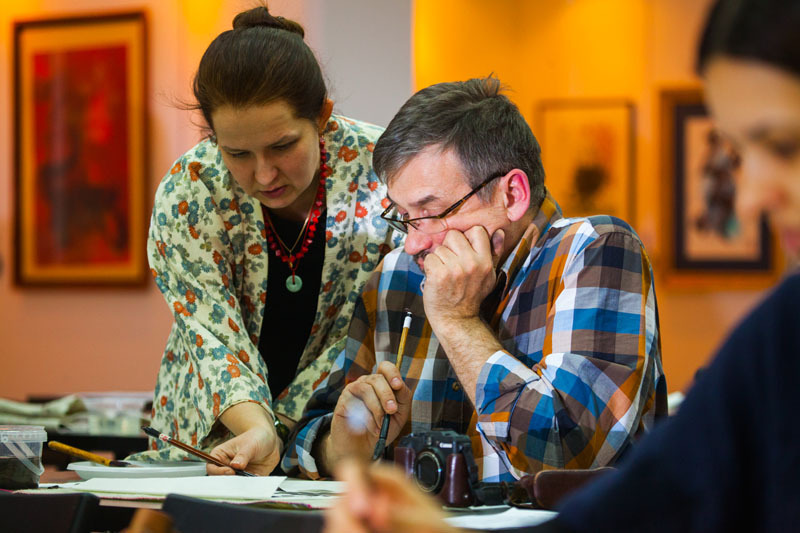 Olga Alexeyeva, the teacher, told the attendants about specifics of the traditional Chinese painting – guohua, which employs ink and watercolour on paper and silk. Guohua is seen as a kindred to calligraphy in terms of its spirit and involved tools. 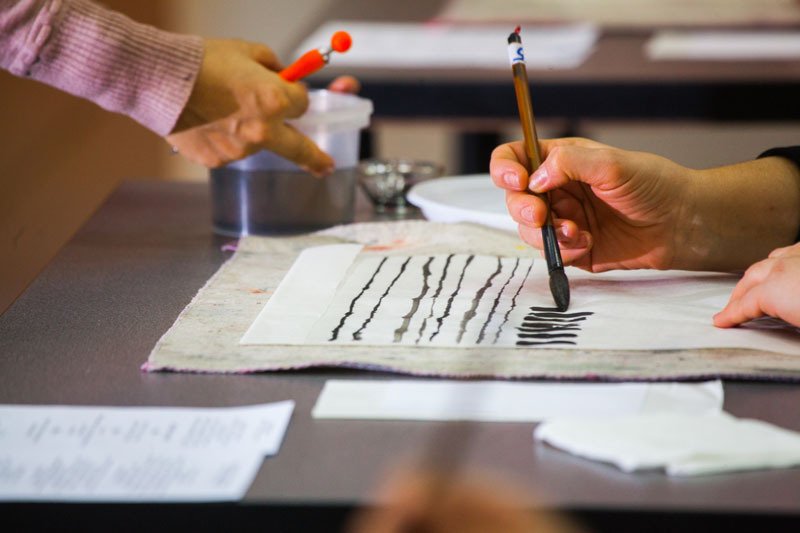 Special brushes and stroke techniques proved a new experience for the participants as they started practicing basic motions. 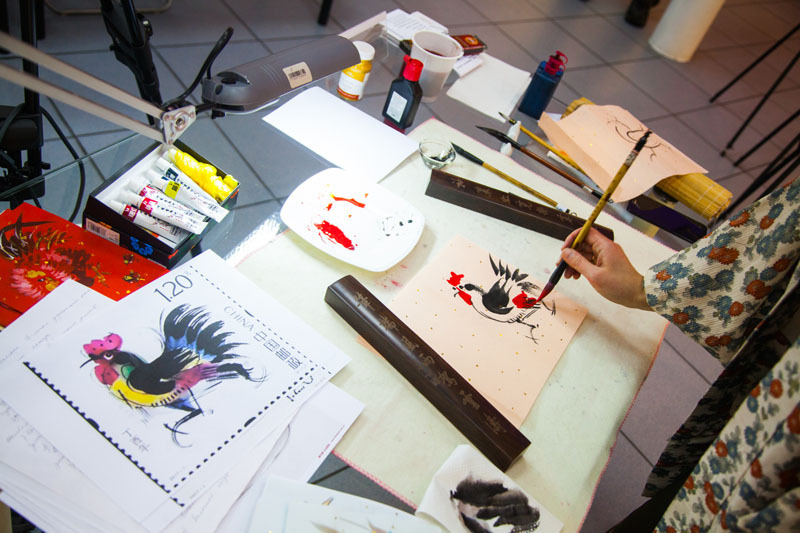 Having got the feel of the tools, they commenced upon a piece showing a fire bird, proposed in sei style by Olga. This painting style entails spontaneity of motions and improvisation, and such paintings are produced in a single session. 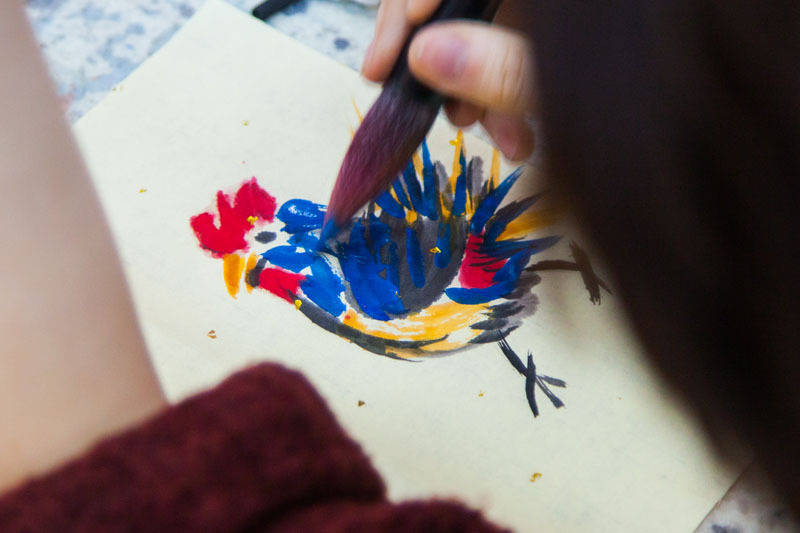 According to the Chinese tradition, an image of the Fire Rooster is a symbol of happiness and lends good fortune. May some participants ended up with non-perfect lines or balance in their piece, yet each and every one of them enjoyed the creative process and imbued their Rooster with ideas and dreams. We wish to thank the participants for their courage and creative urge, and look forward to see them at our future events!